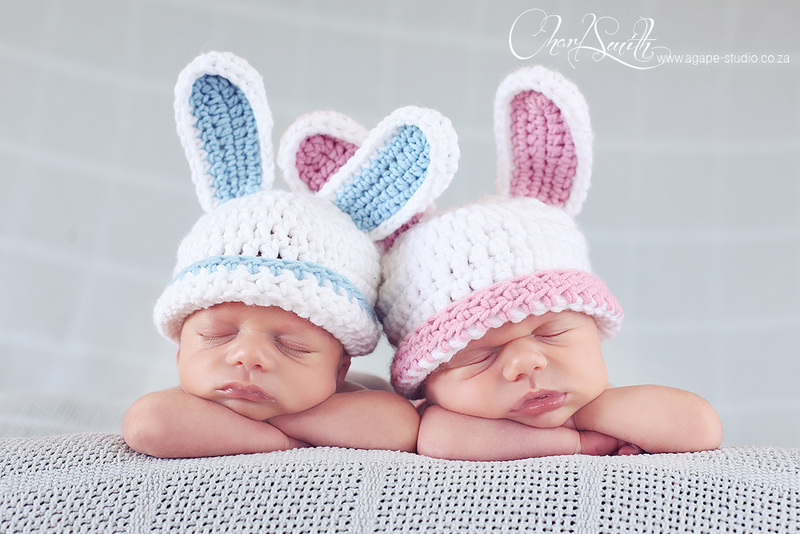 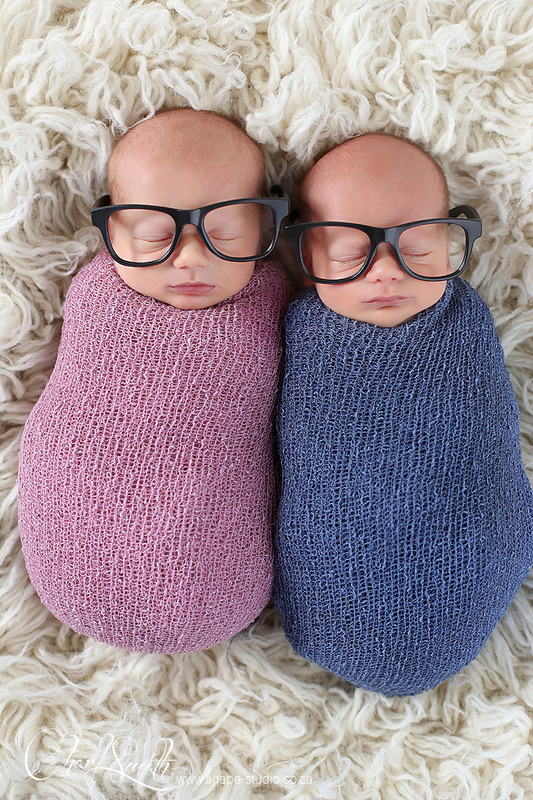 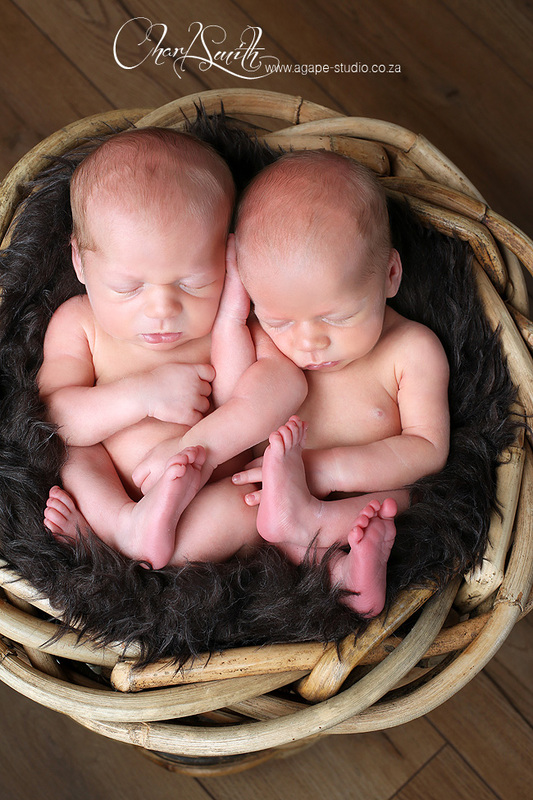 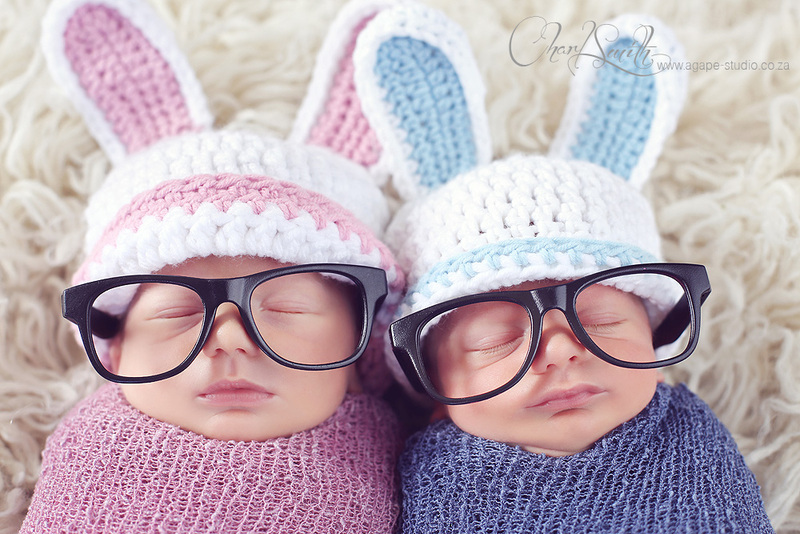 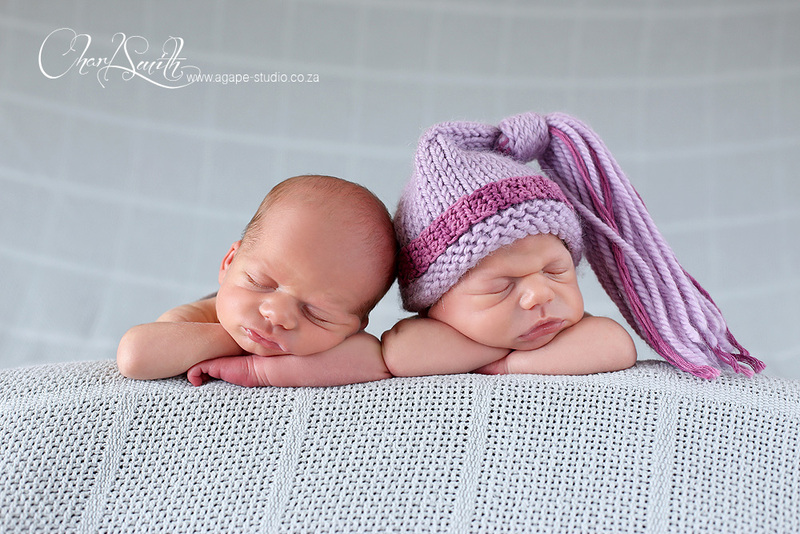 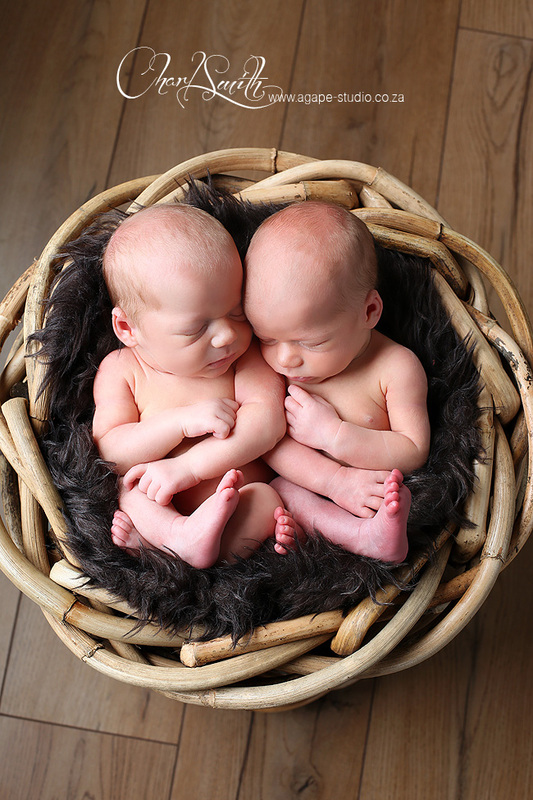 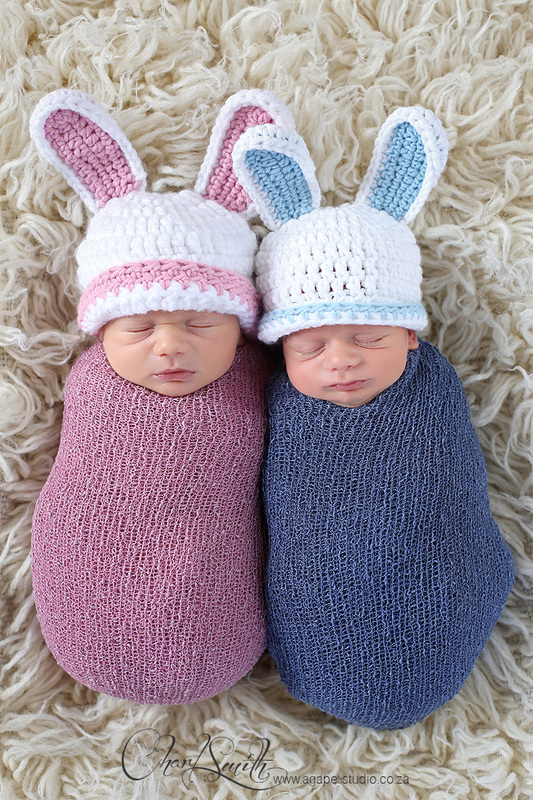 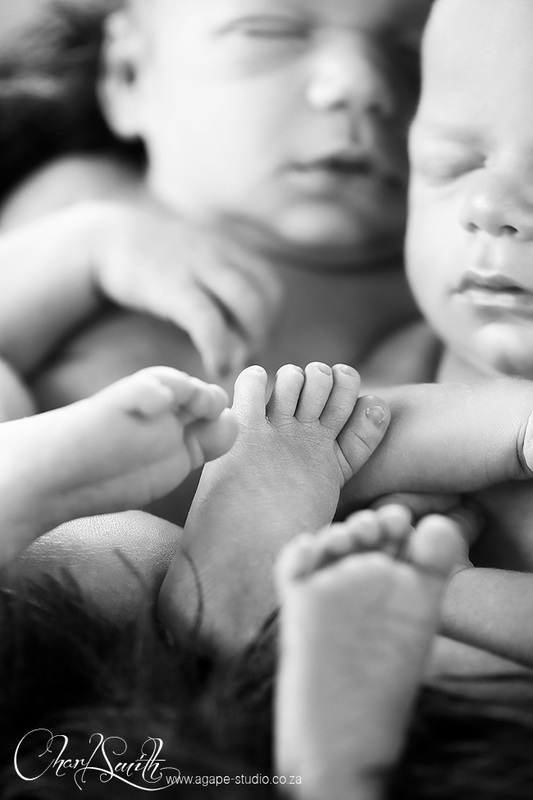 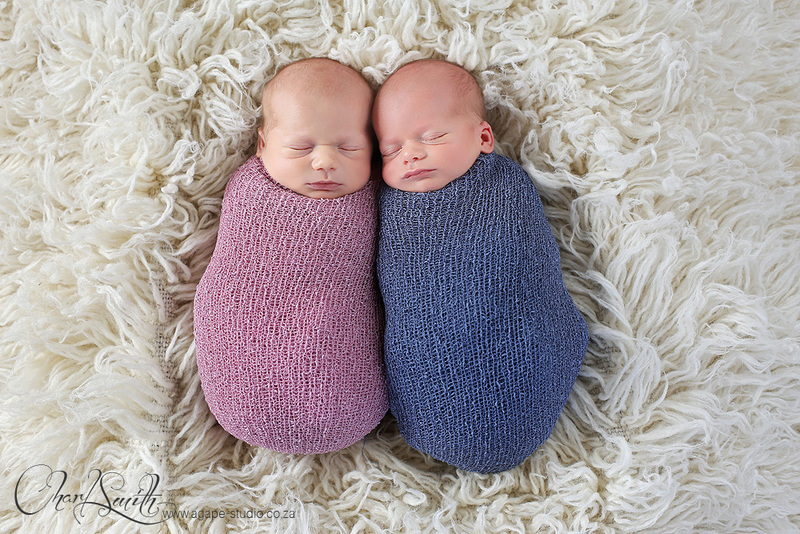 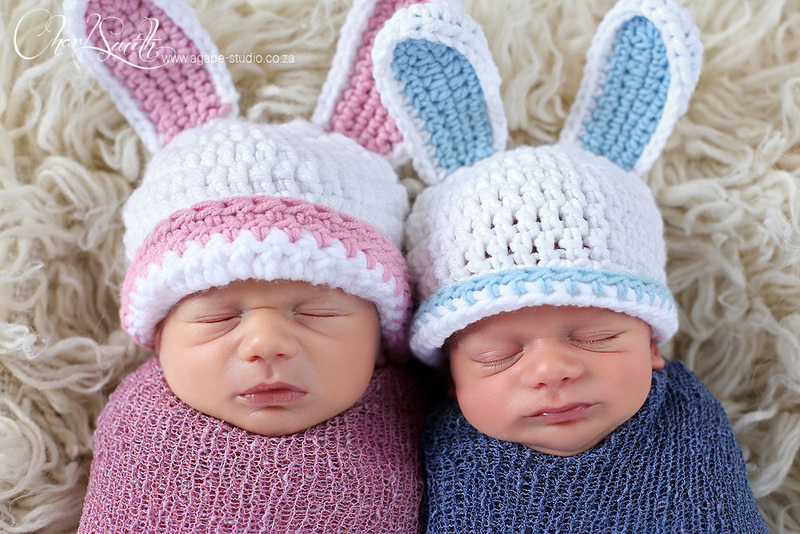 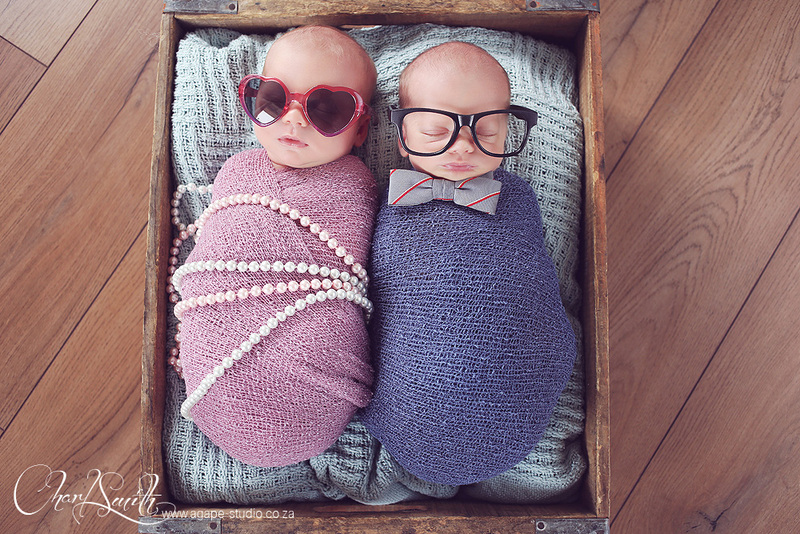 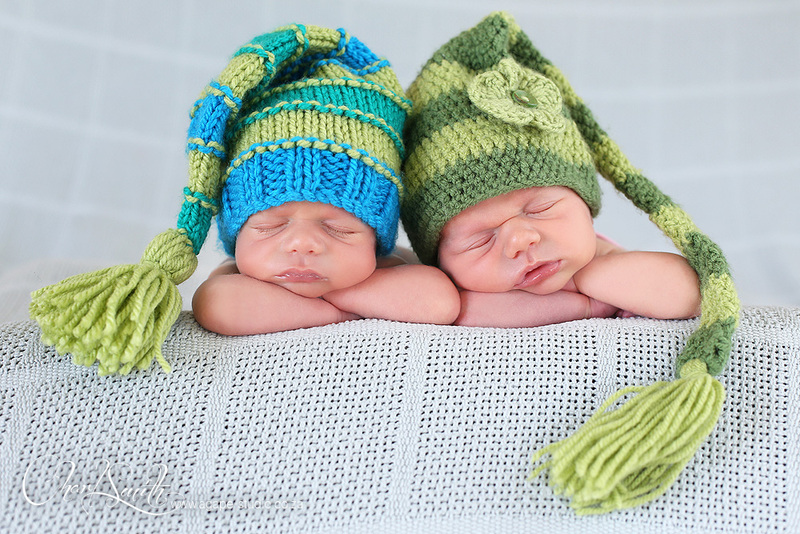 Photographing twin newborns is such a pleasure and privilege, but also a huge challenge. 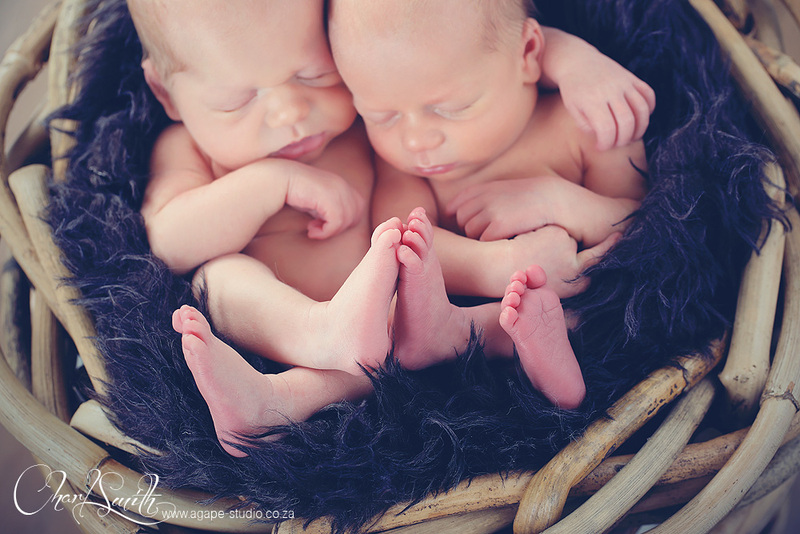 One newborn is usually a hand full, two is more than two hands full :-) This was the first twin shoot where I had a brother and sister. 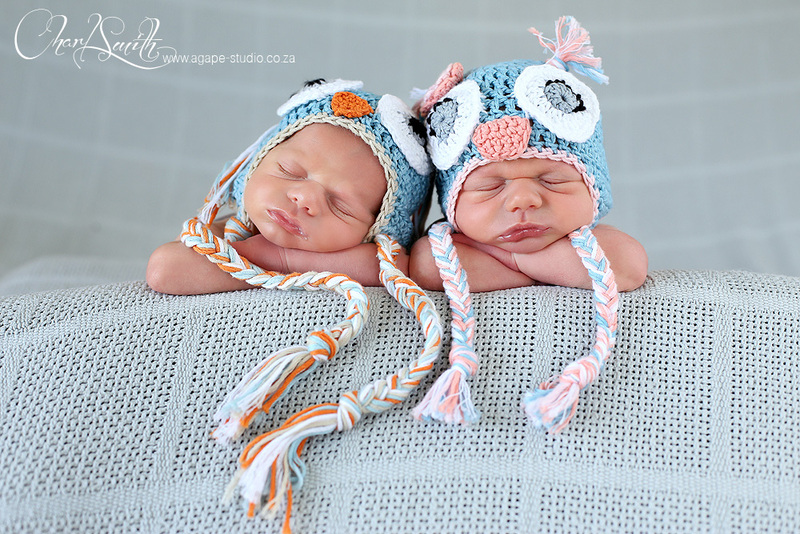 I just loved to mix my props, beanies and wraps with these two. 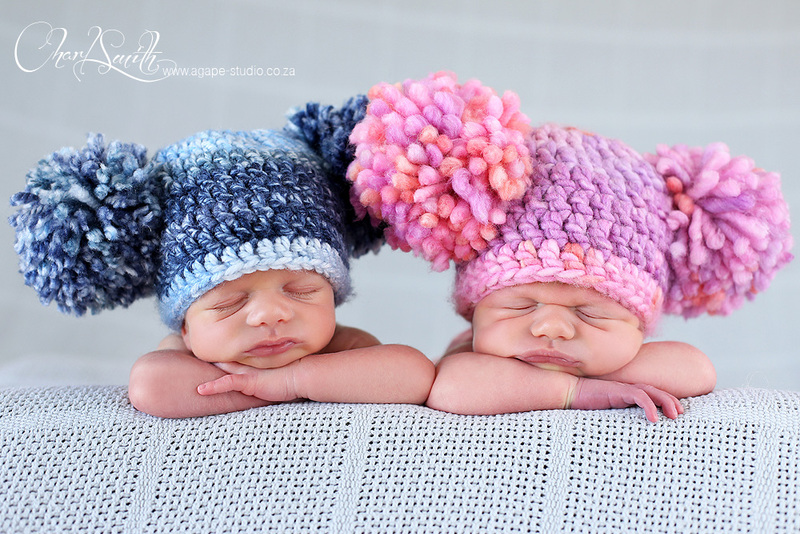 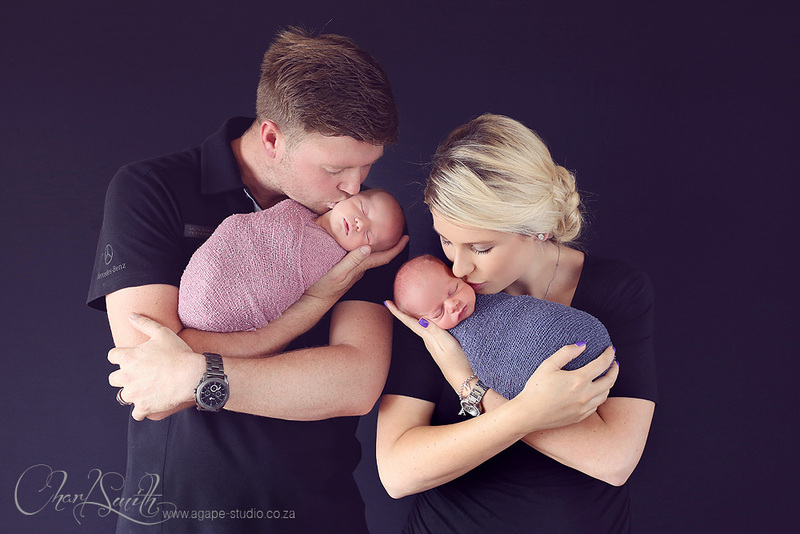 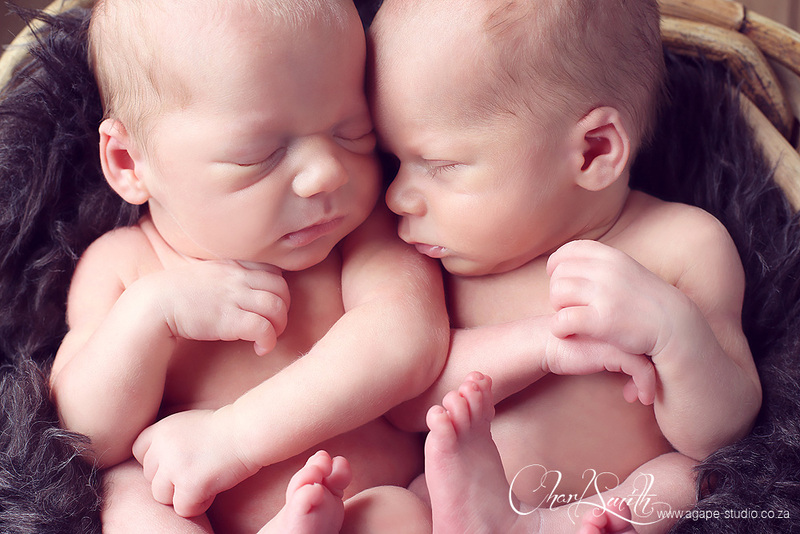 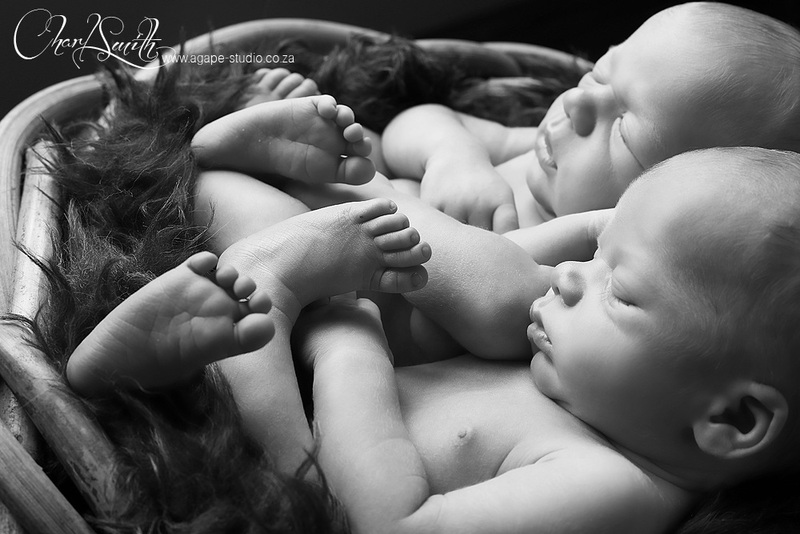 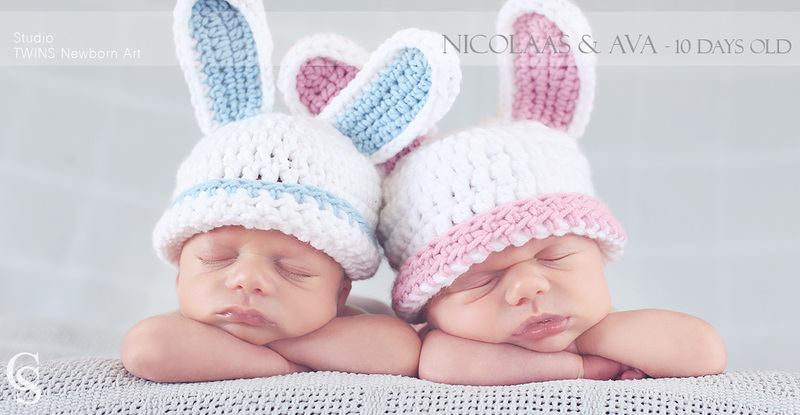 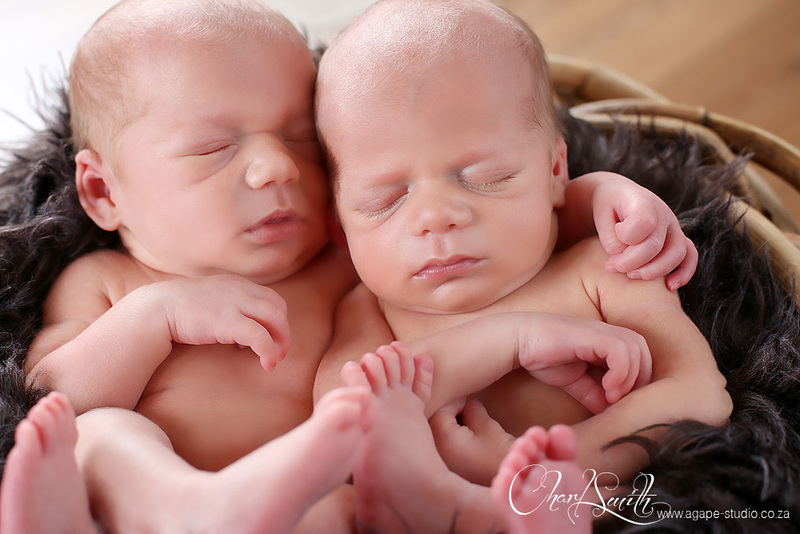 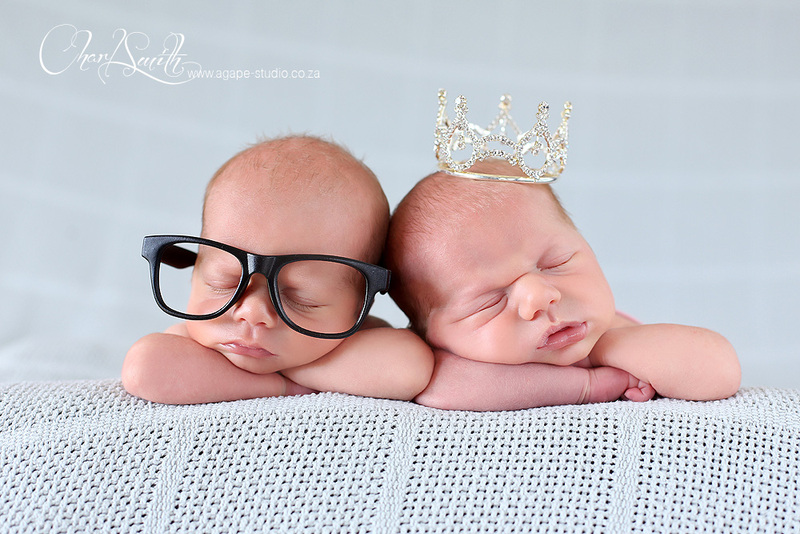 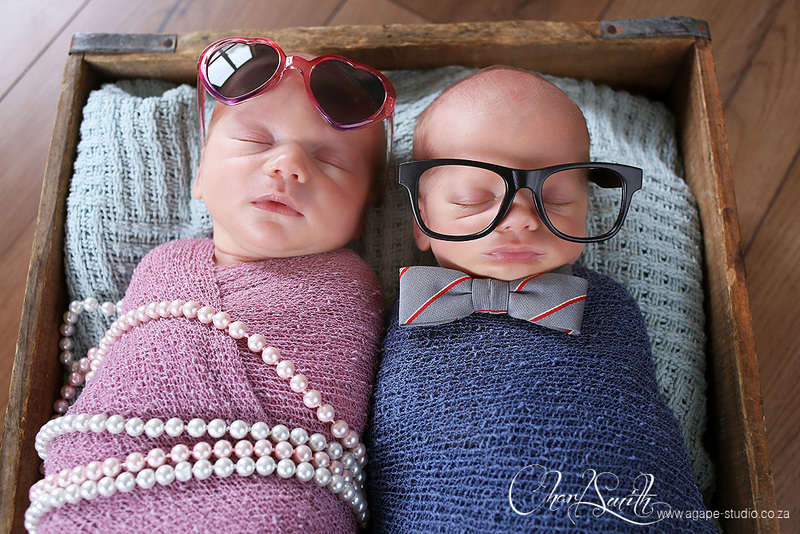 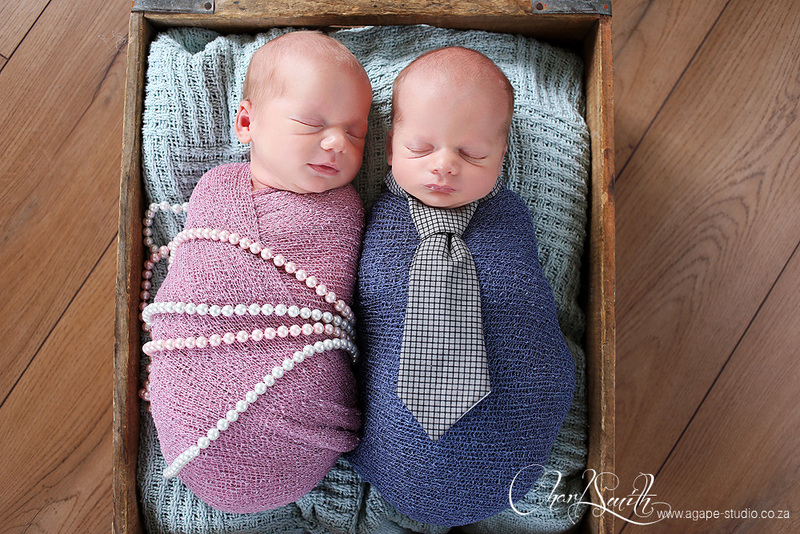 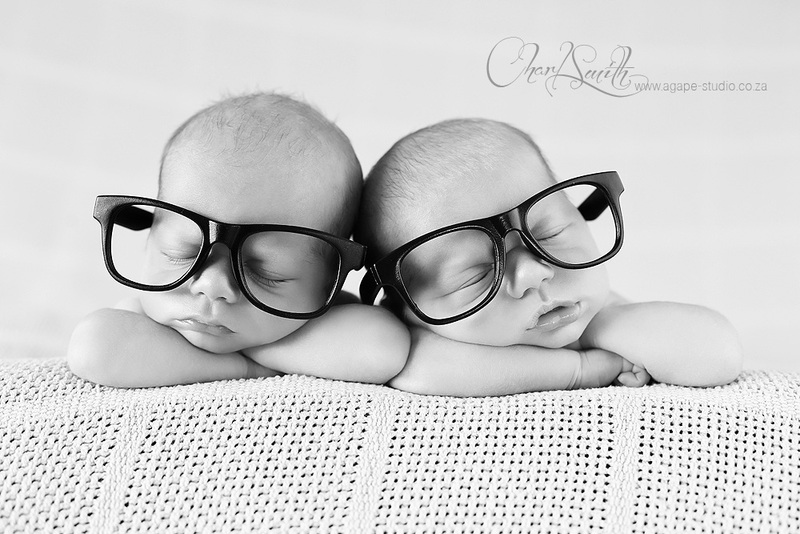 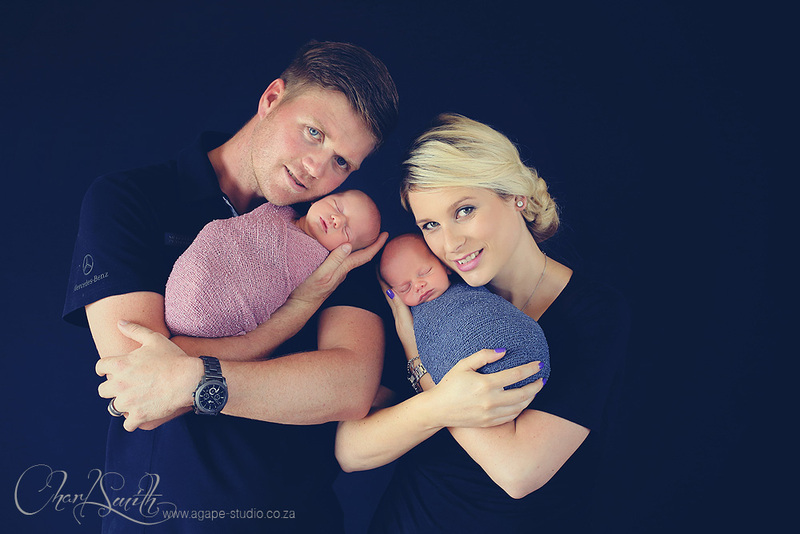 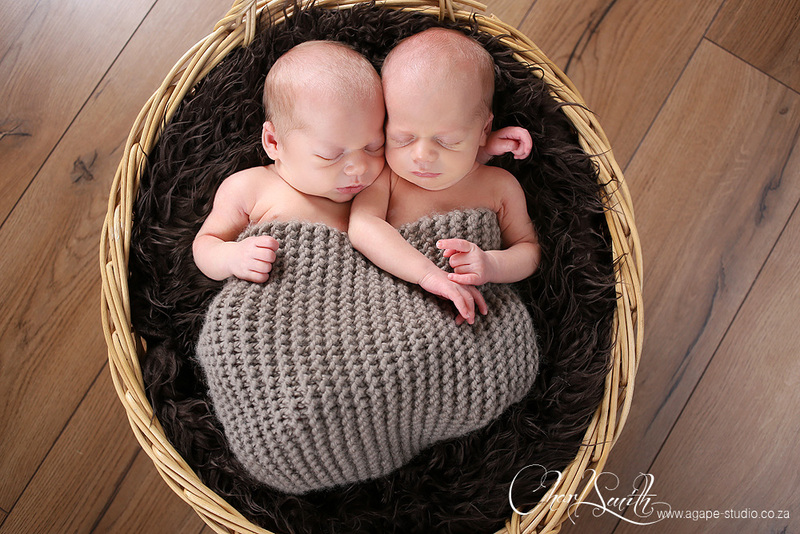 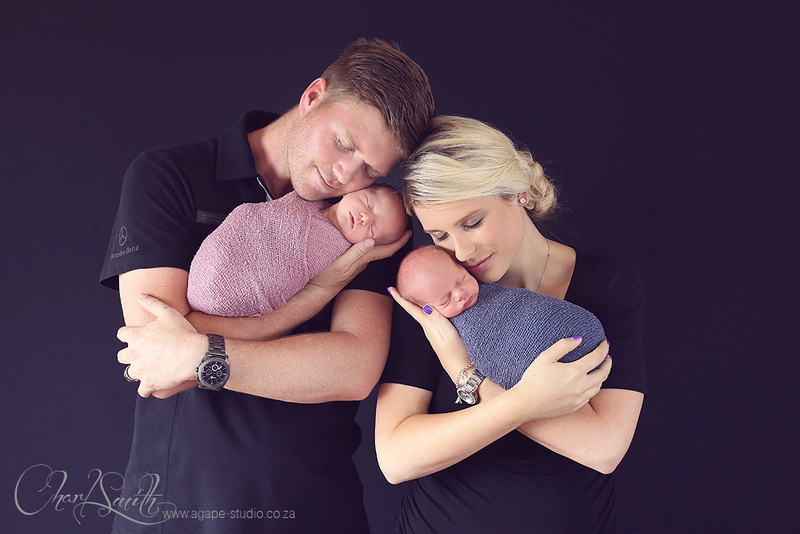 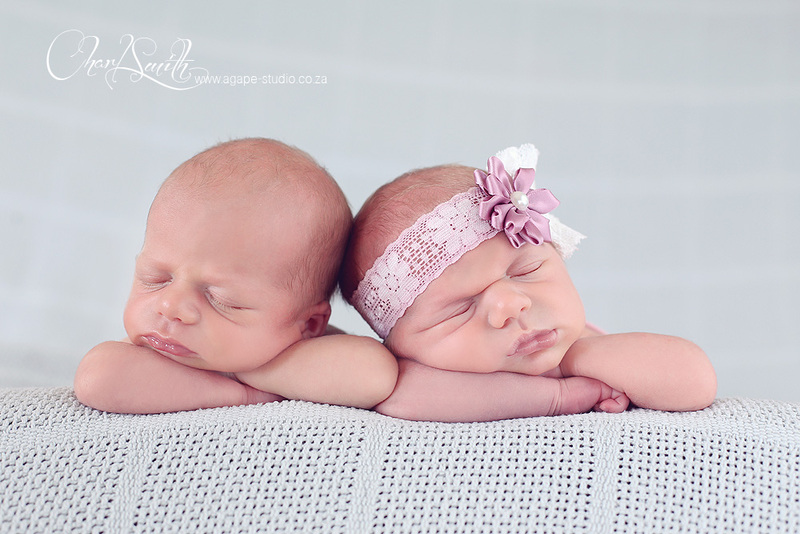 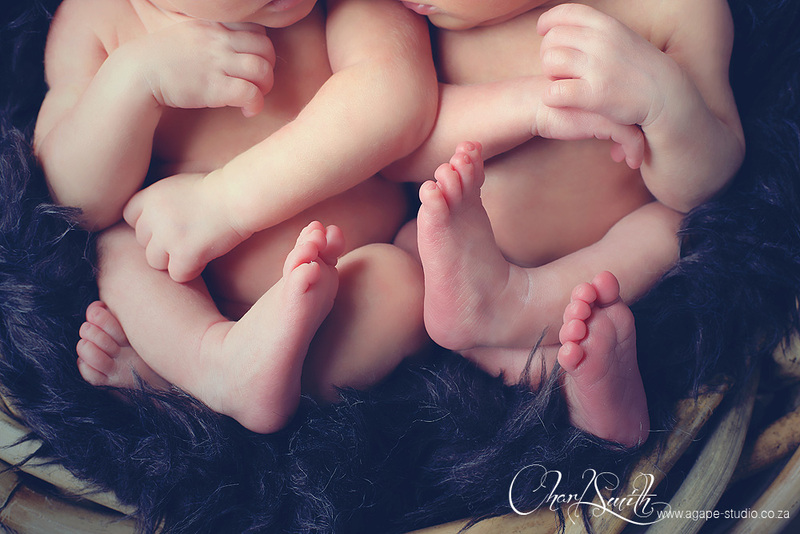 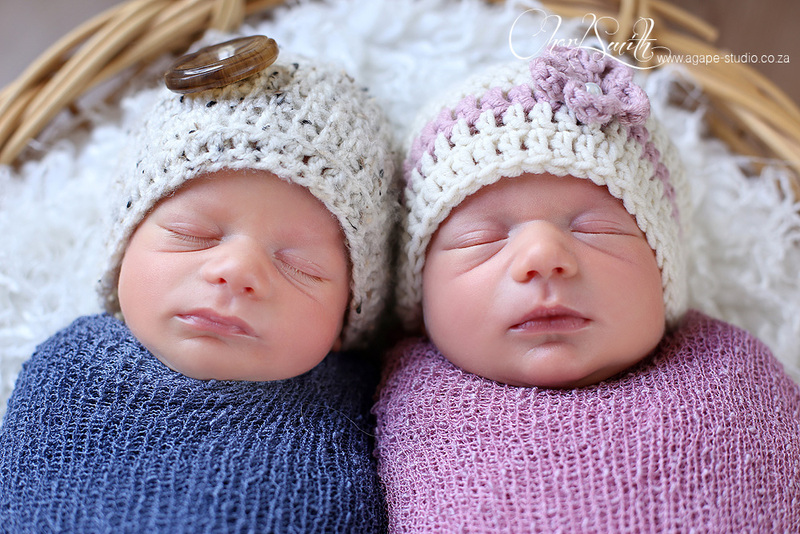 I just want to thank Nic and Anzette for trusting me with your beautiful twins and allowing me to photograph them. 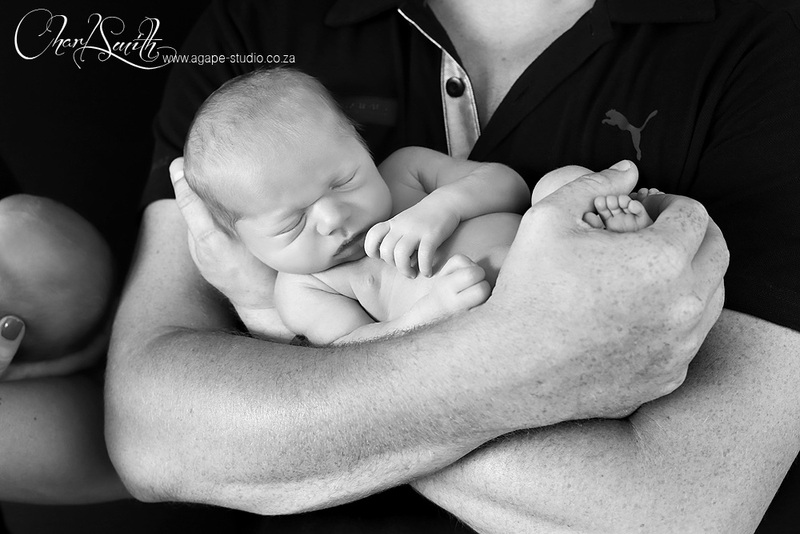 ongelooflik mooi.Baie dankie vir jou moeite met my kleinkinders ouma huil somme nou.